Booker T. Washington holds a bucket and feeds a group of pigs. Published opposite page 92 in Johnson's Highways and Byways of the South. Published on page 298 in a 1901 issue of The Outlook. 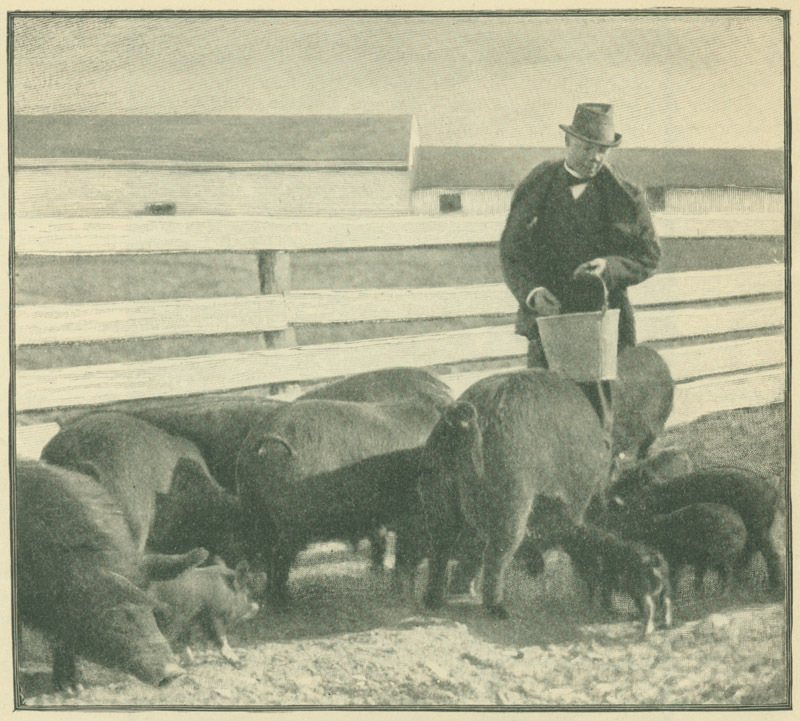 Johnson, Clifton, 1865-1940, “Booker T. Washington feeding pigs,” Digital Amherst, accessed April 23, 2019, http://digitalamherst.org/items/show/1262.